As the old adage goes; ‘If at first you don’t succeed, try going after Alistair Overeem’s (Pictured) pay-per-view bonuses.’ A day after it was reported the heavyweight received his full UFC 141 paycheck because Knock Out Investments failed to post the $200,000 bond required to execute the court order to place his $385,714.28 check in escrow, Overeem’s former representatives are now going after his PPV bonuses for nonpayment of past services rendered. Although they missed out on Overeem’s $264,285.71 “show purse” and $121,428.57 “win bonus” for retiring Brock Lesnar on Friday night, the attorney handling the case for KOI, the parent company of Golden Glory, claims they have now set their sights on a much larger target. Overeem stated at the UFC 141 post-fight press conference that he was unaware his money was in jeopardy and refrained from commenting. 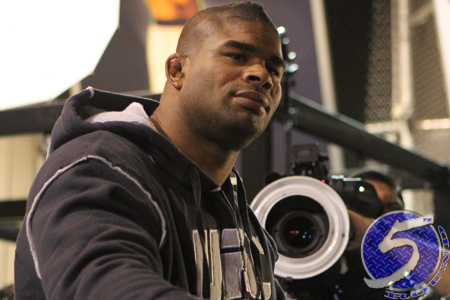 GG claims Overeem did not pay them following his Strikeforce win over Fabricio Werdum on June 18th. The management then negotiated Overeem’s deal with Zuffa, the parent company of UFC, this past September which was parlayed into a blockbuster bout with Lesnar. Golden Glory believes they are owed a 30 percent commission on all of that dough. “Rest assured, now that we have had the opportunity to troubleshoot complex international hurdles – and without a long holiday weekend to contend with – future writs of attachment will be utilized to ensure that Mr. Overeem makes good on the commissions owed to my clients and his Golden Glory training team, who helped him achieve the success he now enjoys,” Lindblom concluded.